Hercule Poirot's Christmas and that's about it. I finished Christmas on the Island yesterday morning after sitting up reading until 6:30 am and haven't settled on a new book yet. Not what I was expecting. 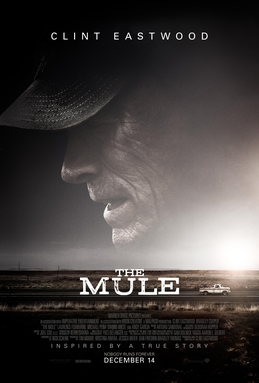 I thought this would be yet another depressing Eastwood movie à la Gran Torino or Million Dollar Baby. Instead it shoots for more of a classic cat-and-mouse crime movie vibe. 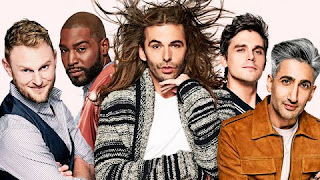 It's not about drug running per se, but about an old man who's looking for human connection, especially with his estranged family. Eastwood does a fantastic job, of course, and there are humorous moments to lighten it up. 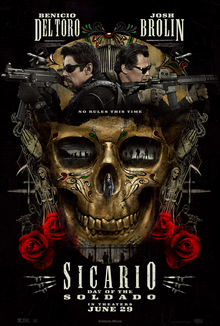 Overall quite entertaining, if predictable. I have my doubts this is an accurate portrayal of the life and times of Charles Dickens, but whatever. 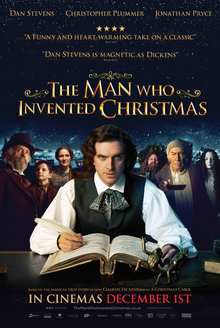 It's a little muddled and a bit too long, especially since it's basically an unnecessary rehashing of A Christmas Carol, but I'm not going to complain about watching a movie with Dan Stevens in it. I mean. It was okay. 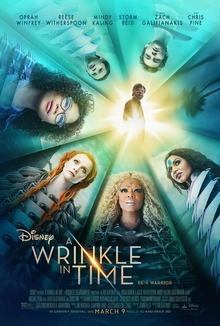 There were moments of magic and joy–I enjoyed the balloon scene at the end–but other parts felt formulaic and beyond recycled. Which is sad considering there's only one other Mary Poppins movie. Blunt had some good lines ("We're embarking on an adventure, children, let's not ruin it with so many questions! "), but Miranda was in there WAY too much for no reason other than, I guess, he's Lin-Manuel Miranda. 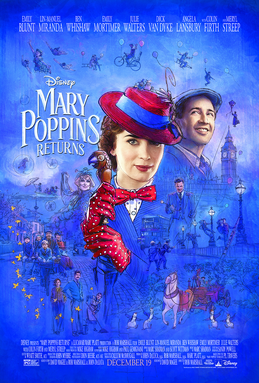 Also, I was completely distracted trying to figure out what time period this is set in, AND the woman next to me kept treating the theater as her own personal living room, checking her phone and constantly explaining the plot of the first Mary Poppins to the person next to her. 1. IT'S NOT THAT COMPLICATED A PLOT, and 2., maybe you should have broken it down before seeing this movie. Anyway. I'm not sad I saw it, but I have no desire to watch it again. What a year! If you'd have told me 12 months ago I'd close out the year with a full-time (and so far deadly boring) job that started at 8 in the morning I would have said you were cray cray. But it happened. I went to Paris! (In case you couldn't tell by all the photos of the Eiffel Tower, above.) This was truly an epic trip where I fell in love with Montmartre, kicked a few things off the bucket list, and drank champagne every day. Nice work if you can get it. 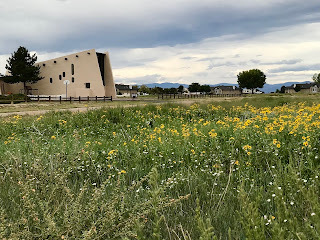 I didn't meet the love of my life or anything (sorry, romantics), but it did make me do some revaluation of where I was, emotionally speaking, and what I really wanted. I also got really into budgeting this year, thanks to YNAB. It's kind of like The Life-Changing Magic of Tidying Up but for money. In just six months it's helped me get and stay clear of credit card debt! I was able to pay for all my Christmas gifts with cash I'd saved up, and I saved up for a new windshield for my car. I also started an investment fund for a new computer a few years down the line. I can't recommend this system or the book enough! In sad news, my last living grandparent died in September, and I can't help but think that now the various branches of the family will go their separate ways, especially since we live in a different state. It's crazy how one person can hold a family together. 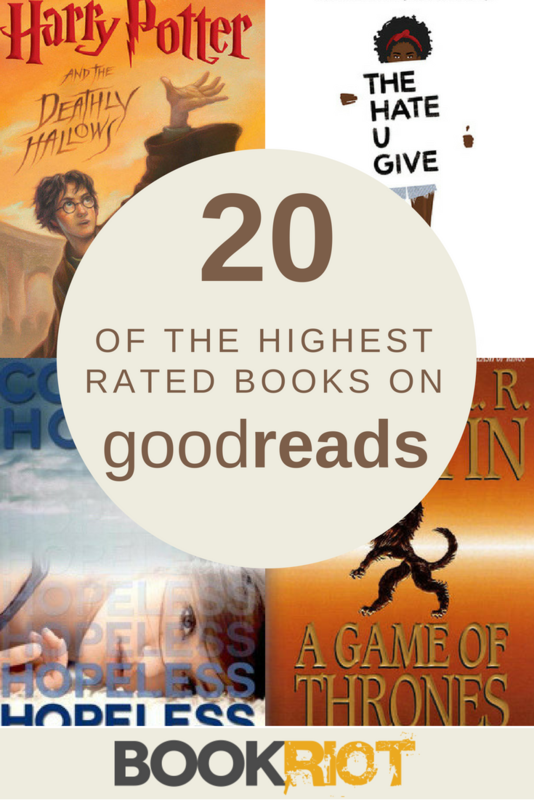 As for my year in books, last year I complained that I only read 80 books. Well, this year was even worse: I read a whole 51 books. Pa.the.tic. 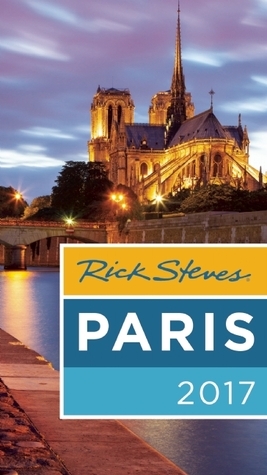 With unique walking tours, humor, and spot-on advice, this is definitely the one guidebook to Paris you should buy if you can only buy one. This adaptation of Much Ado About Nothing set in 1920s Long Island is absolutely perfect. PERFECT. 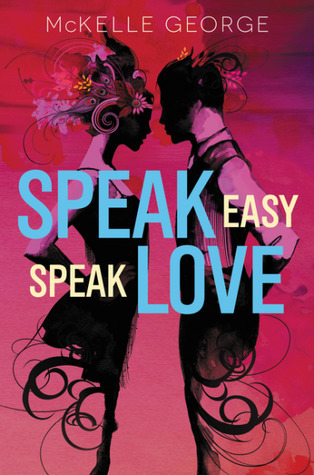 I adore the setting, the romance between Beatrice and Benedict is hilarious, the romance between Prince and Hero is swoon-worthy, and there are gangsters and speakeasies and government agents and jazz singers and everything you could want from a book set in the 1920s. Highly recommended! 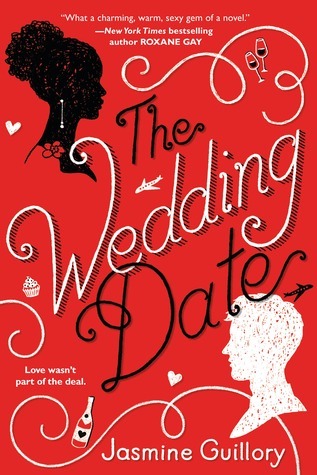 Penny Reid can be hit-and-miss for me, but I read this book while traveling to and from my grandmother's funeral and it was absolutely delightful. Short, smart, irreverent, funny–basically Reid at her best. 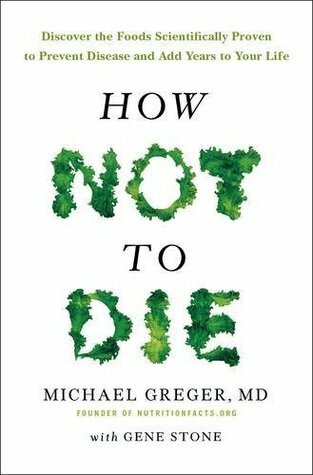 I've seen docs on Netflix about how eating meat is terrible for you, but for some reason this book scared the bejesus out of me way when the documentaries didn't. It's stuffed full of a ton of information, all cited out the wazoo with peer-reviewed scientific studies. And yes, I know the title is click-baity and sensationalistic. Admittedly the more accurate How Not to Die of Completely Preventable Diseases by Changing Your Diet just doesn't have the same ring to it. Perfect balance between swoon-worthy romance and a completely plausible story that feels grounded in reality. Not an easy combo to pull off. A definite must-read. 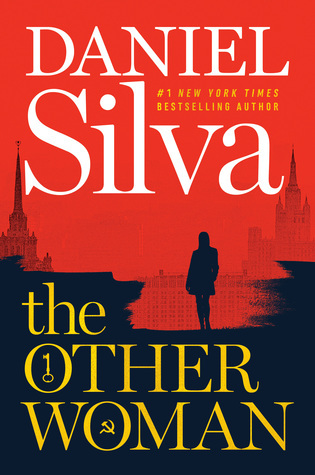 Another winner from Silva, and an indictment of Putin and the Russians' grab for power across the globe. On par with The English Girl imo. That's my year in short! 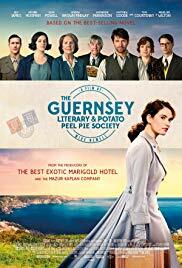 What books did you read or movies you watched this year that you loved? Have any New Year's Resolutions? A happy New Year and wonderful 2019 to all my readers! 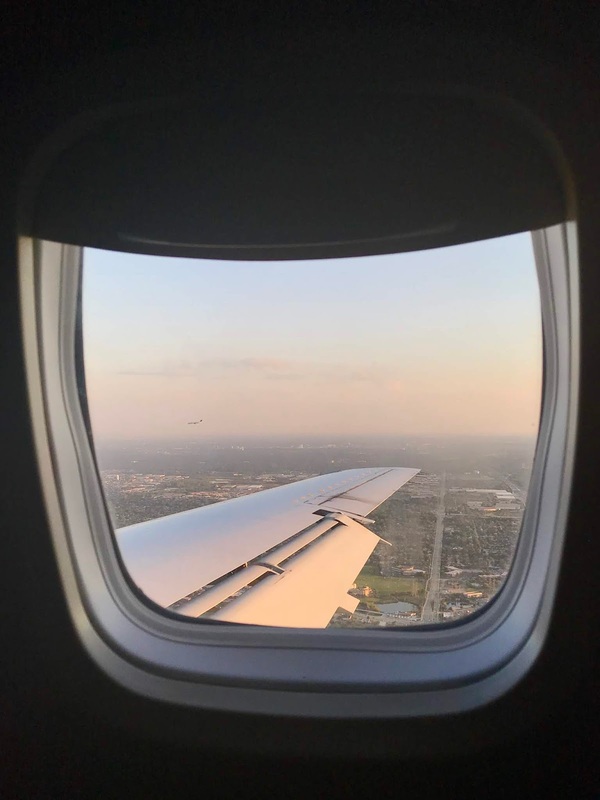 See you on the flip side. Discus this post with me on Twitter, FaceBook, Google+ or in the comments below. Still slogging through The Silkworm and The Woman in White. At this rate I'll probably finish TWiW before The Silkworm. My dad made a friend who used to work on a submarine, and now he's forcing him to watch all these sub movies. 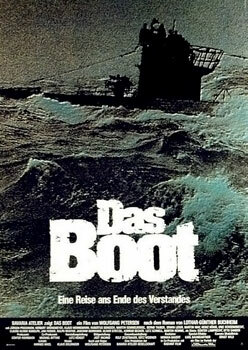 I actually watched this in high school German class, but had forgotten a lot about it. For example, HOW FREAKING LONG IT IS. Other than that it's surprisingly good. It's more about the psychological warfare between the Germans and the English than explosions and shootings. And even though it is insanely long–I'm talking LotR level of self-indulgence here–it's very tense and will keep your attention. A classic for a reason! UHG. 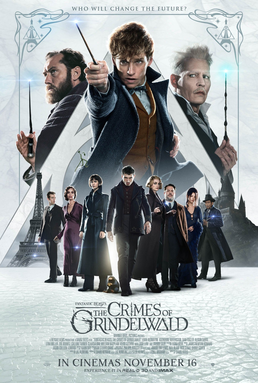 Well, as you know, I liked Fantastic Beasts even though it felt strangely hollow. But this movie... smh. Redmayne is still awesome, but the script is an absolute disaster. Everything the characters do comes out of nowhere, there doesn't seem to be a plot, and the actors spend an inordinate amount of time awkwardly STARING. At each other, at things, stare stare stare. I told my mom if they'd only cut the staring out the movie would have been 90 minutes long! But then the dialog wasn't exactly sparkling, so perhaps staring was the best option. And don't get me started on the WTF elements like Queenie brainwashing Jacob, Nagini's role in the film, or the fact that I still have yet to know what crimes Grindelwald committed during the course of the movie. Aside from the crime of stealing two and half hours of my life, that is. In the 1960s a Brooklyn nightclub bouncer is hired by a record label to drive a pianist around and "take care of things" during his tour. Why? Because the tour is in the Deep South and the pianist is black. This is a well-made film with awesome performances by Mortensen and Ali, great set and costume design, and a story that's entertaining and touching without being sappy or maudlin. I truly enjoyed watching it, but after thinking about it more, certain aspects started to bother me. For example, the hero of the story is clearly Tony–Mortensen's character–and Dr. Shirley's character is never really fleshed out. How did he wind up a fancy-pants piano player who lives above Carnegie Hall? Where was he born? Where did he go to school? Why aren't he and his brother speaking? None of these questions are ever addressed and others, like what's driving him to do this tour in the Deep South, are given the yada yada treatment. "You know, genius and stuff, yada yada yada." 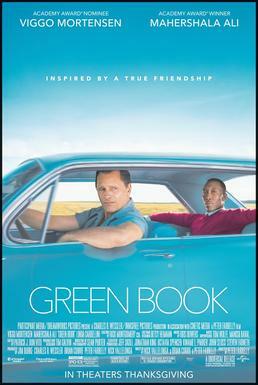 I don't think it's a bad movie by any means, it's just definitely a film about race for white people that feels like it didn't put a lot of thought into the one black character. My big announcement this month is that I GOT A JOB! Like, a full-time job with benefits and whatnot. It's at a university and I'll be working in communications. Pretty exciting, although I'm not looking forward to getting up every morning. 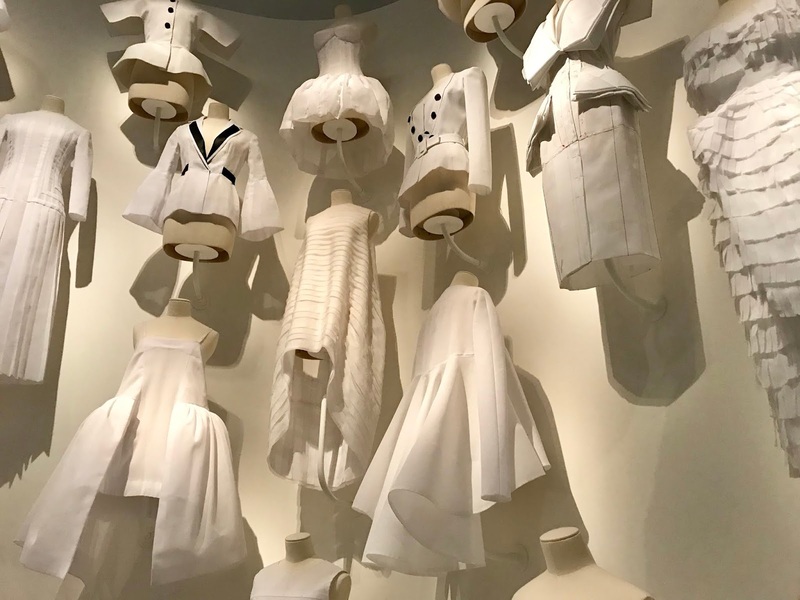 Other happenings this past month included a trip to Denver for Dior: From Paris the World. I'm no fashion expert, but this exhibit was pretty impressive. I loved the exhibition design and wish I'd taken an audioguide, as the signage was minimal. A show well worth seeing if you're in the area! Here's a link to my article about it on Dropbox if you're interested in learning more. I would write more but I'm STARVING and this computer keeps giving me the spinning ball of death whenever I try to add more pics to this post, so I think I'm just going to give up and make dinner. Have a great week everyone! The Silkworm by Robert Galbraith: Giving this one another try. I'm getting farther than I did last time, but things that annoyed me about the first book still annoy me. The Woman in White by Wilkie Collins: Can you believe I've never read this book before?? Listening to it on audiobook while watching the miniseries on PBS. Obviously I haven't finished either, but so far I think the miniseries is doing a good job of modernizing the book while staying true to the spirit of the story. 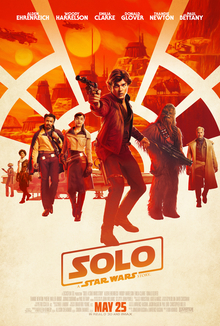 I am so glad I didn't see this in theaters. What a waste of time and potential. I actually think the script is okay, but where this movie really starts to fall apart is in the editing and art direction. Visually it's a flat, dark mess and the pacing feels like one long scream down a slip-and-slide. I fell asleep watching it and I honestly dgaf. And at the complete opposite end of the spectrum... In 1969 (according to Wikipedia; I thought from the movie it was 1974, but apparently I was wrong), a remarkably destructive group of guests arrive at the El Royale, a formerly swank hotel straddling the border between California and Nevada. Is this hotel as creepy as it appears to be? Yes. Yes it is. Everyone should see this movie! It's worth it just to hear Erivo's singing, but everything else is spot-on as well: the performances, art direction, soundtrack, script, cinematography. I loved the creepy-cool vibe of the film and how it turned 1960s pop music into something ominous and sinister. Just imagine if Tarantino made a film like LA Confidential, but which takes place in one night in a claustrophobic hotel, and you have a good idea of this film's vibe. October was a busy, y'all! There were a ton of events going on and meetings. 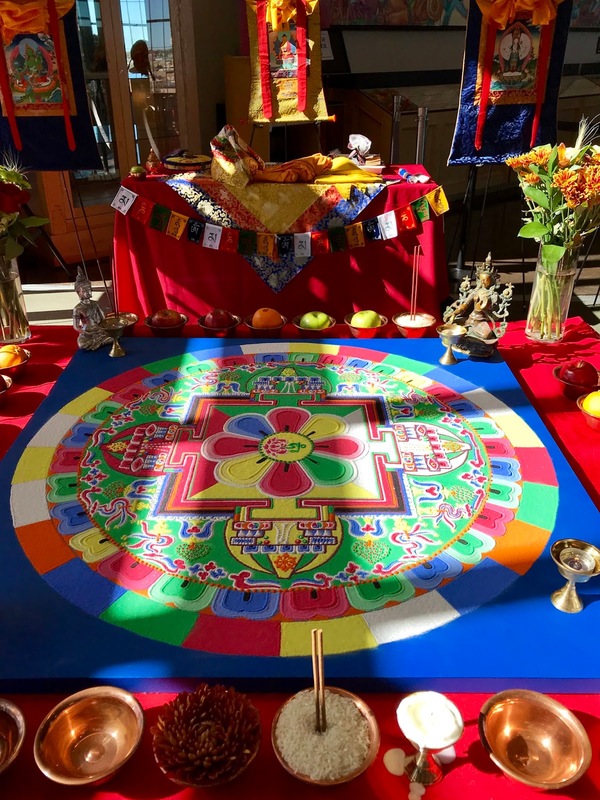 One of the cooler events I attended with my mom was a mandala ceremony at the local library with a group of Tibetan monks. We saw both the opening ceremony and the closing ceremony where they destroy the finished mandala and pour it into the river. 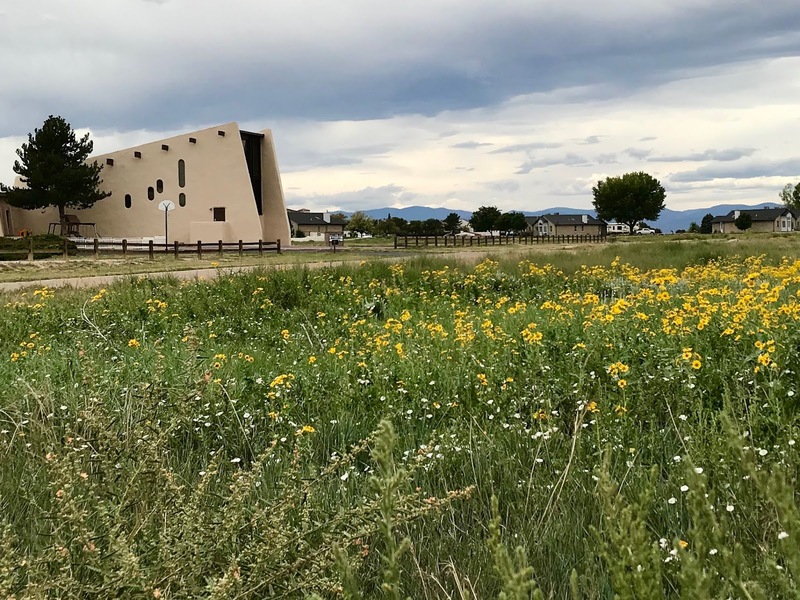 I wanted to see it just from an art and cultural perspective (how many times does someone in Colorado get to see something like that? ), but it was unexpectedly moving as well. So happy I took the time to see it! 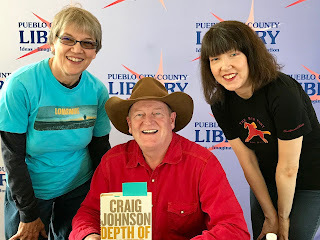 We also went to a Craig Johnson author talk and signing at the library. If you ever get the chance to see him in person, do it! He's an amazing public speaker who tells really good stories about the inspiration for his books and the people who work on the TV show. In other news, I somehow managed to survive another Halloween. I'm just happy I don't work anywhere that requires employees to dress in costumes because that would be a HARD NO. Hope you all had a good October and here's to a good week! 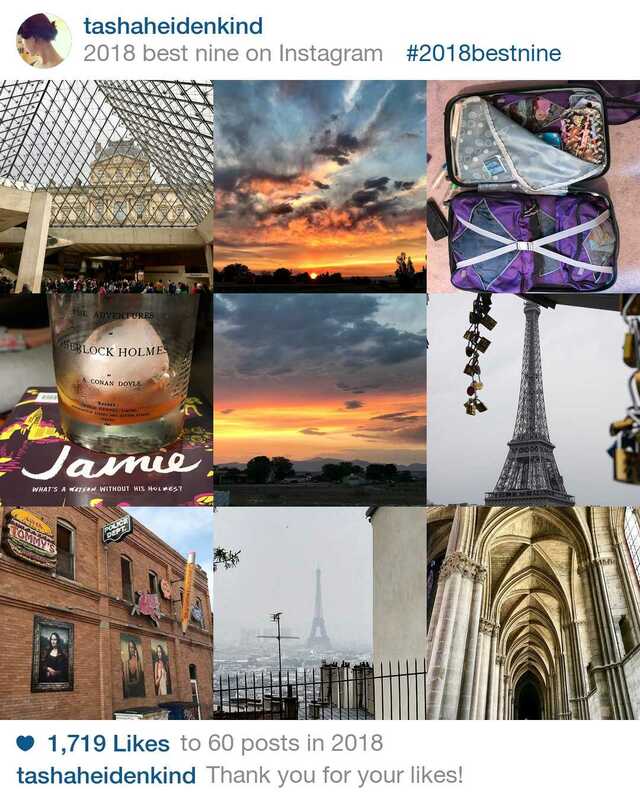 Sunday Snapshot for a Birthday Weekend! Wine and War by Don and Petie Kladstrup: On one hand I admire what the authors did with this work and I've enjoyed several of the stories. On the other hand I'm not that into reading about WWII (or any war, really) and the book occasionally feels too loosely connected. 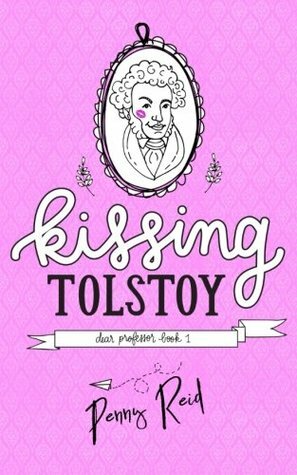 Posted: Which Romance Novel Should I Read? Quiz! On Book Riot. 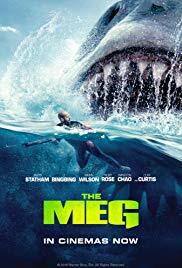 I actually enjoyed the first half of this movie, but in the second half it seemed like everyone was just relying on Kate McKinnon to make it funny and entertaining. The "plot" also went completely off the rails and stopped making any lick of sense. Possibly the greatest Hallmark movie I've ever seen. 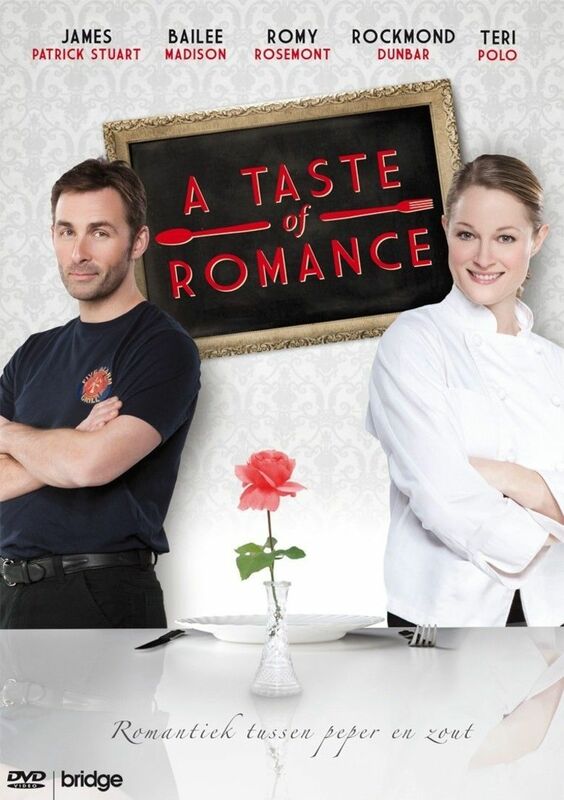 A French-trained chef who looks remarkably like Brooke from Top Chef struggles to find customers while the pizza and sandwich place next door, run by a David Tennant lookalike (thumbs up), is doing great! 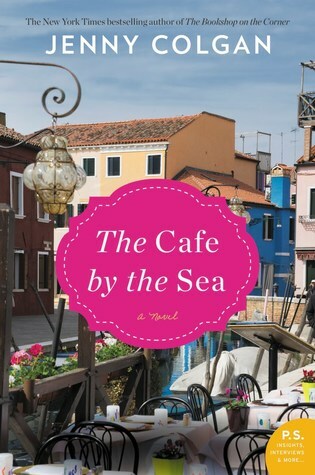 Naturally they hate each other, but when the chef makes friends with the ingrate's daughter they start to connect over food and what inspired them to open their restaurants. SO MANY FEELS, you guys. I love stories where the hero and heroine fight all the time, and I love movies with food, so naturally I was destined to enjoy this movie. But I was still surprised by how good it was. 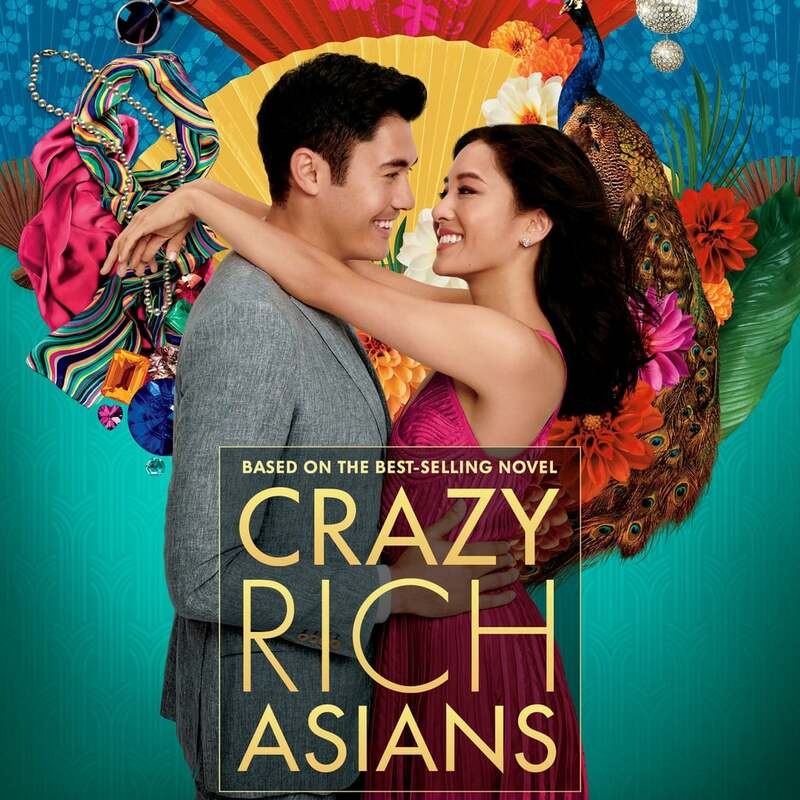 It felt more solidly grounded in reality than many Hallmark movies, and the elements of romance and comedy were perfectly placed. There was even just a soupçon hint of The Parent Trap, which was delightful. Very highly recommended if you're in the mood for a romcom. 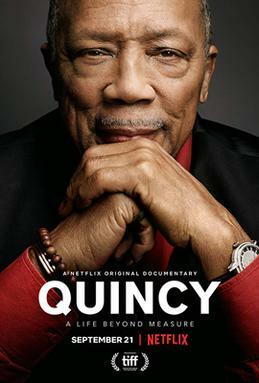 This documentary about the life of Quincy Jones is wayyyyyyyyy too long. I'm warning you right now. BUT. It's also a fascinating and moving portrait of a man who's even more remarkable than I realized. It's crazy how he escaped childhood poverty and gangs in Chicago, overcame a racist industry, and became a legend in everything from music to films and TV and theater. Not to mention that he's still crushing it! Well worth making the time for if you're into music documentaries. Guess what, y'all? It's my birthday today! w00t w00t! The universe has been kind to me and given me a new episode of Doctor Who AND Expedition Unknown, which are basically my two favorite TV shows, plus I got some nice presents, so I'm hashtag grateful y'all. September was a crazy month. Well, the first part wasn't too bad, but then one of the stores I work for had to close and move locations (and they're still closed–long story), which turned out to be fine because at nearly the same time we had a death in the family and I had to fly out to Illinois for the funeral. Then, when we got back, I had to rush around to finish researching and writing an article I promised to get in the week before. Plus there's been a ton of fun things like dentist appointments and trying to find a new doctor (I've been doctorless since July). I tried a new productivity app to see if that would help me get more things done but so far it seems hit and miss. That's it for today. Hope you're all having an awesome month!! Doctor Strange Beard by Penny Reid: I'll be honest, I don't really get the Winston Brothers. They all have weird names and beards and there seems to be an endless supply of them. Every time I turn around a new one pops up. Also, their father is supposed to be a jerk who was never around but he somehow fathered 12 or 14 kids with their mom??? Cork Dork by Bianca Bosker: I'm enjoying the heck out of this one. All the fun of being a NYC somm with none of the bitchiness and terror! It's as bad as you expect. Which is a pretty boring review. 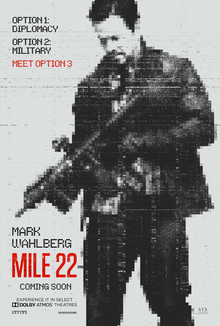 So instead of that, here's a fascinating factoid: Mark Wahlberg's character in this movie is based on Steve Bannon! For real! And yes, he's a terrible person. 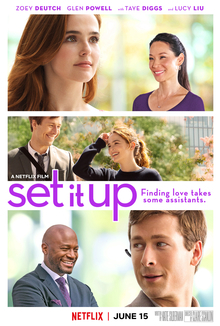 I wasn't sure about the premise of this movie, but it's sooooo cute and sweet. Very Sixteen Candles-y. Would definitely watch again. About half an hour too long and I was expecting way more crazy rich stuff, but it was a fun Cinderella story with a strong finish. I really enjoyed all the hot shirtless guys. Thumbs up on that! August really sucked balls, friends. Like I'm usually hanging on to the end of summer by the skin of my teeth, begging time to slow down, but August was not my month. I couldn't wait for it to be over. Everything that could go wrong did, it seemed like everyone was in a bad mood, and I was so busy I didn't even care that my library borrows were WEEKS late. Yet it felt like I never got anything done. Plus the weather was awful. If I want it to be in the 70s I'll put in an order for October, mkay? No. Thank you. Anyway, one good thing did happen in August: I found a new musician to obsess over. Charlie Puth. I'm probably the last person on earth to hear about him, but I'm acting like an early adopter anyway. I can't stop listening to his new single, "Done For Me". Love the '80s vibe and I HAVE LITERALLY NEVER SAID THAT BEFORE. So what's going on with you? 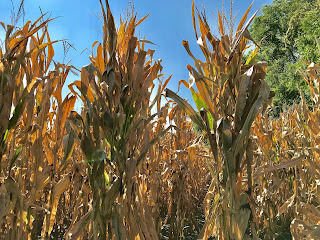 Happy September's here or waiting for it to end already? 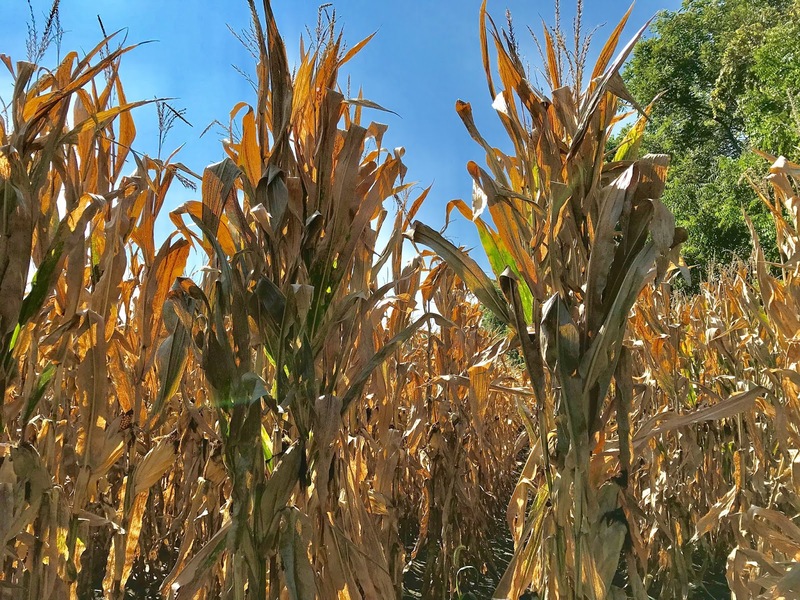 Sunday Snapshot for the First Week of August! What are Goodreads' highest rated books? To be honest, I wish I'd never agreed to find out, because math. The Prince by Katharine Ashe: I just finished chapter one, and so far the heroine is: 1., the beautiful daughter of duke; 2. a cross-dressing scientist; 3. attending medical dissections at Edinburgh Uni. Meanwhile the hero is: 2. named Ziyaeddin (that should be enough); 2. a celebrated society painter; 3. a Turkish prince living in hiding from assassins; 4. possessed of only one leg. Too much. Dial it back. The Billionaire's Vinegar by Benjamin Wallace: Say what you want about the Koch brothers, but Bill Koch is doing Being a Billionaire right. I'll be honest, I could never get into this book or understand why people liked it. And this movie did nothing to change my opinion. TOTAL. MESS. Did you know that Denzel Washington has never agreed to be in a sequel, until this masterpiece came along? YES IT'S THAT EXTRAORDINARI... -ly predictable. But in terms of what it is–yet another revenge flick spurred on by the death of the one talking female character–it's actually pretty good. The director gave Washington some emotional meat to chew on. It's just kinda weird that out of all the roles he's ever played, *this* is the one he chooses to reprise. I don't get it. I'm not going to say I didn't enjoy watching it, because that would be admitting defeat. But the more I think about this movie, the more head-scratchy I get, and I'm not the only one. Little things really bother me, like the fact that Sophie's friends who were in the first film are completely missing. I'm also annoyed that Cher only did one song, and it's stupid. You guys have Cher!!! C'mon. But really Cher was just a last-ditch effort to resurrect something interesting out of this shell of a script. Wow! Surprisingly so, so good. It might even surpass Skyfall as my favorite spy/action flick of all time. 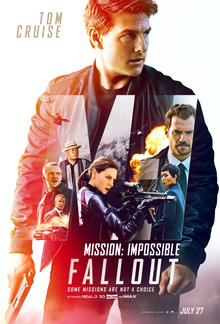 Seriously, I know all the other MI movies have been total crap, but this one is definitely worth seeing in theaters. 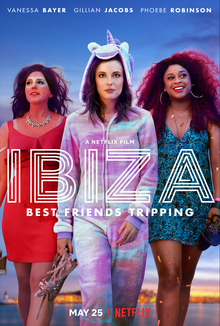 If you're expecting a movie titled Ibiza to be a series of club scenes strung together and EDM blasting continuously, well, you would not be far off. Luckily the DJ our heroine falls for is Richard Madden and he is so freaking dishy I can't even. 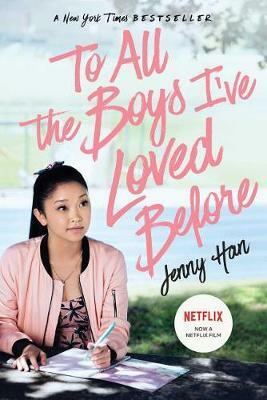 So I liked the travelogue parts and the romance but the rest was pretty meh. Hey look, I'm averaging a post a month now! It's an improving trend! Anyway, what's been going on with me? Not much. July was a sucky month for me, reading-wise. I hardly got any reading done during the readathon because I had to work. Sigh. And I DNF'd at least three books. Not great. Now it's August and I'm bummed summer's almost over. Why does summer have to end?? I hate fall. Just the thought that fall is several weeks off is sending me into an emotional spiral. In other news, I'm writing more lately and even started drafting the outline for two stories! It's been forever since I felt inspired to write fiction, so this is awesome. My mom and I just finished S2 of Queer Eye on Netflix and I thought this article on how the show reflects shifting attitudes toward masculinity and how the Fab Five do the "emotional labor" usually expected of women was pretty enlightening (found this article through Gin Jenny, btw!). Let me know what's going on with you this month and have a wonderful week! Sunday Snapshot is Excited for Summer! The Henchmen of Zenda by KJ Charles: This book is insanely boring. Such a disappointment. The Alice Network by Kate Quinn: Gets progressively more depressing as the book goes on. 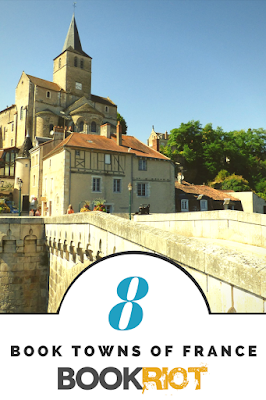 Take a virtual tour of the book towns of France with me! 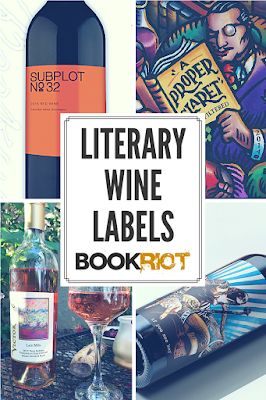 Plus some literary wines to whet your palate. Calling this stand up special a "comedy" seems like a misnomer, considering I spent most it crying and am getting choked up [read: barely holding it together] right now just thinking about it, but it is really good. It's actually kinda fascinating, because it's a comedy routine that critiques the comedy industry and how we even tell jokes to begin with. Pretty powerful stuff. Plus there are a ton of art history jokes and y'all know that's my jam. 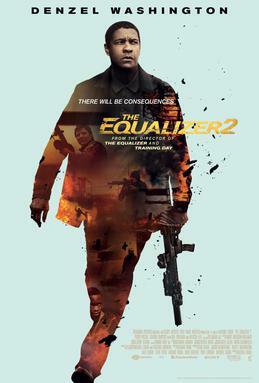 When this movie started I thought I was going to be in for another iteration of Zero Dark Thirty, of which I am NOT a fan. However, it turned out to be pretty good! Sure, it's the type of movie where no one is innocent, not even the little girl they kidnap; and the whole thing with her needing to cross back into the US to be "safe" didn't make a whole lot of sense (where are her parents in all this?). But for what it is, it's a quality film with a ton of great actors. And Benicio del Toro is very handsome, even after he gets shot in the face. 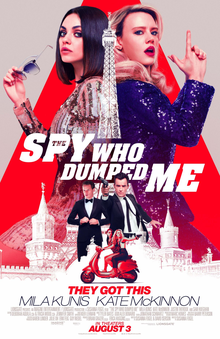 The best romantic comedy I've seen in years. Seriously. So much fun, and pitch perfect from start to finish. It reminded me of The Hating Game, which was one of my favorite books in 2016 and which needs to be made into a movie of its own asap. Feels like a movie for 8 yos. 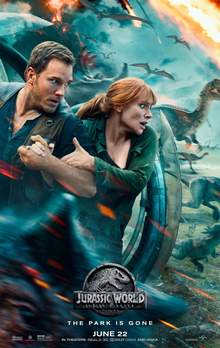 Yes, all the Jurassic Park movies are kid-friendly, but in this one, everything is dumbed down. Even the dinosaurs go from Fearsome Prehistoric Creatures to scavengers sorting through suburban trashcans like raccoons. I might wait for the third movie in this trilogy to come out on DVD. I was super duper looking forward to watching this movie, and I was not disappointed! 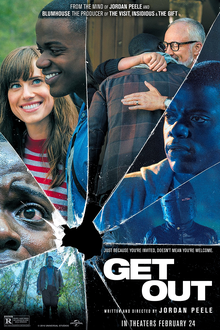 It's scary, but it's more of a psychological horror with pervasive creepiness a good amount of social satire thrown in the mix. A smart, old skool scary movie with a modern twist. I think Hitchcock would approve. Pretty decent by Hallmark movie standards. 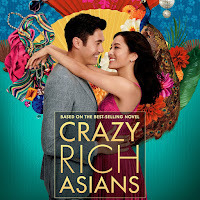 I liked how there were two romances in the movie and that the adult romance was balanced by a teen movie vibe. The ending was incredibly dumb. Well, I disappeared for a little bit again there. With one thing and another I didn't find a time to sit down and post anything in June. Whomp whomp. But I'm back now! What have I been up to the past few weeks, besides working and writing? I've developed a new obsession: budgeting. Apparently every June I start thinking about my finances (WalletHub was kind enough to remind me that I downloaded their app last June). But this year I've moved beyond just monitoring my credit score and accounts to actual budgeting. It all started when I took a Travel Miles 101 course and decided to start using my cards more for points and cash back. But it's difficult for me to keep track of my spending with credit cards, which is why I stopped using them in the first place. As I was pondering this conundrum (j/k, I was merrily using my cards to buy octopus shoes from ModCloth), I came across a book on Goodreads titled You Need a Budget. I do need a budget, I thought to myself. Unbeknownst to me at the time YNAB is a HUGE thing on the internet. It's not just a budgeting system, it's like a whole community/movement/the word cult's been thrown around a few times. The app costs $84 (outrageous) but I could get the book for free from the library, so I did. And I immediately fell for the concept. YNAB is basically the perfect budgeting system for me because my income is so variable. With standard budgets they want to know what you're going to make in a month and most of the time I have no idea. But YNAB focuses only on the money you physically have today. You give every dollar a job, embrace your true expenses, and then you can start building a buffer so you're not living paycheck to paycheck. Plus you're tracking credit card transactions as they happen and treating them the same as you would a debit card transaction, so there's no "float" where you're spending money you don't have today and planning to pay off next month. The book is just an introduction to the system. There are a ton of how-to videos online, free classes through the website, and subreddits where people discuss budgeting. Not that I've joined the subreddits. Yet. To be honest, now that I've started using YNAB, I'm way more stressed out about money than I was previously. But then I probably should have been more aware of the state of my finances all along, instead of waiting until an unexpected expense popped up to make me start freaking out and trying to get my unpaid invoices settled. I've also been thinking about opening an online money market account to take advantage of a higher interest rate, but I think I'll wait on that for a bit and see if I can save any more money using the YNAB system. If you've been searching for a budgeting system or app, I recommend YNAB. There's a bit of a learning curve, but the book gives you a good introduction and for more details you can always watch some videos on YouTube. Do you have a favorite budgeting app or system? Is this topic way too boring? 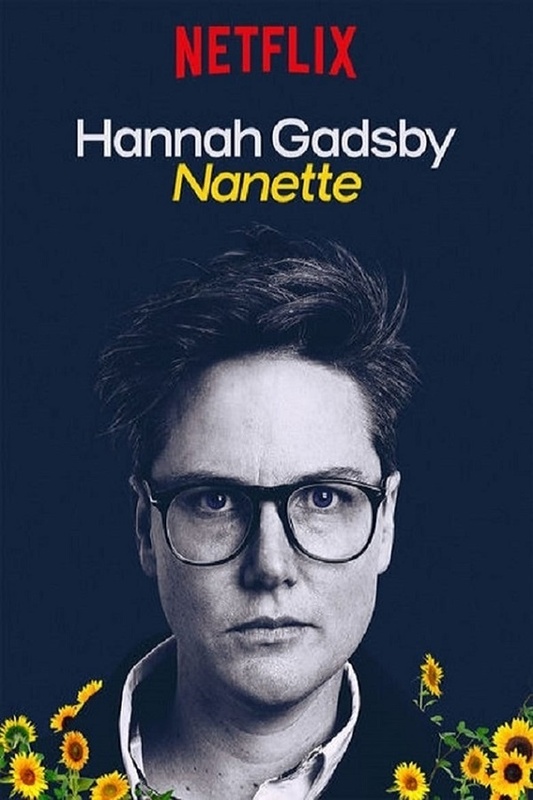 Also, have you seen Nanette, because I want to discuss! Hope you all have a good week.